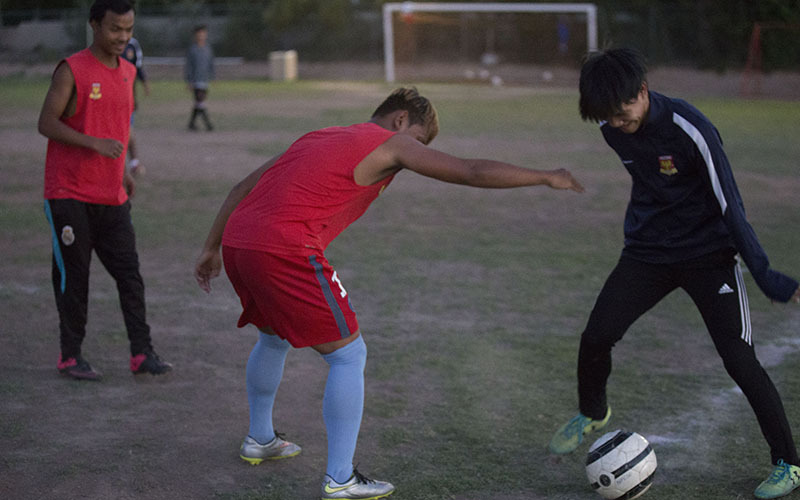 PHOENIX — Teenage boys sprint back and forth on a dusty soccer field in North Phoenix, the markings on their jerseys lit up by the last rays of the evening sun. 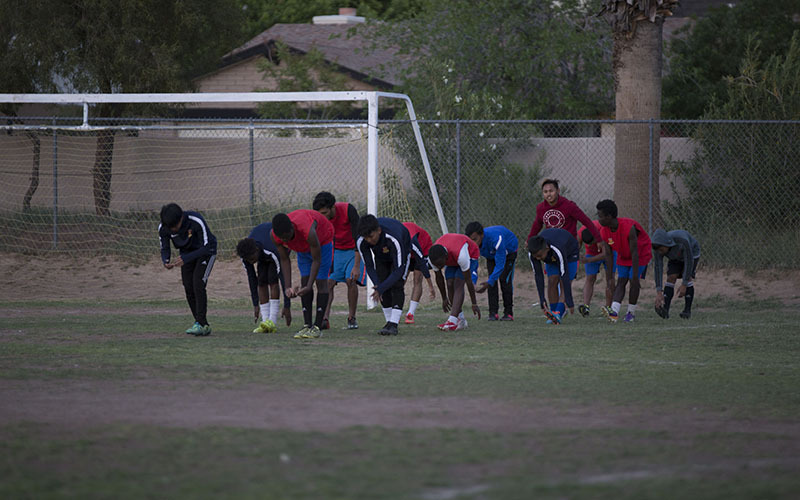 The boys are players on the North Phoenix Christian Soccer Club, which is predominantly made up of refugees. 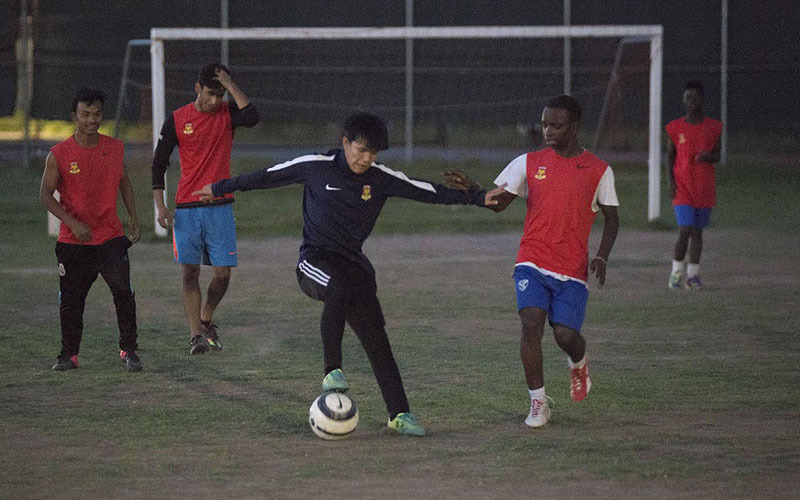 Many of the boys are from places like Thailand, Zambia, or Iraq; the players, aged 6-19 years old, and coaches are like a second family, for some their only family. Bar was born in a refugee camp in northern Thailand and lived there until he moved to the United States in 2009. His parents are refugees who fled the Burmese Civil War. He said coaches and other players help him with anything he needs, including school work. He is a freshman International Baccalaureate student at North High School in Phoenix and hopes to play soccer in college. Bar, like most others in the club, heard about it through a referral. His cousin, Pleh Reh, also plays for Team Milan and introduced Bar to the club when he came to America. Reh said he shares his cousin’s view that the club plays an important role in his life and his teammates are like brothers and coaches like parents. Although the players don’t pay to participate, there are expenses.Their jerseys and soccer balls are donations from other local clubs. The yearly cost of operation is approximately $36,000, according to coaching staff. One man affectionately referred to as the “amazing Myles” picks up most of that bill. Myles Grunewald, 76, an Army veteran, took over the 43-year-old club 25 years ago. He said about 12 years ago he spotted some refugees playing at the West Dunlap Baptist Church and invited them to join. Through word of mouth, the number of refugee players has grown and they now dominate. Alondra Ruiz Vazquez, the club’s registrar, said Grunewald is the most compassionate and humble man she has ever met. She also said she is afraid the money may run out one day, leading to the demise of the entire organization. Arturo Camacho, a volunteer coach for some of the younger teams, started working with the players when his daughter joined the club. He stayed when he and his family witnessed the living conditions of a young player who was being physically abused by his stepfather. Camacho, a father of five, said he works 12 hours a day at a trucking company and finds time to volunteer as a coach. He also said players coming from poor living conditions is not uncommon. He’s not alone in his commitment to the players. Ruiz Vazquez and her husband, who coaches Team Milan, help Grunewald drive the players to every practice. And Ruiz Vasquez said she and her husband have taken in players and their families during tough situations.